Have you been meaning to buy a small pool table for so long but tight on budget? Well the HomCom Folding Miniature Pool Table is the answer to your problem. The HomCom table is a wonderful table comparable to the playing surface of standard tables. The main difference is that; you could get it for less than 5% the price of regular sized pool tables. 3 What makes the HomCom Folding Miniature Billiards Pool Table the best small pool table? 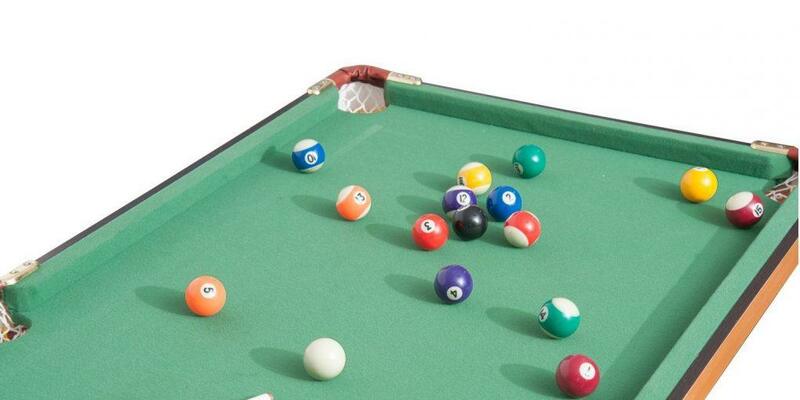 A table that is like the real thing, that’s what the HomCom Folding Miniature Pool Table is. It is perfectly designed to be an entertainment companion for small homes. Everyone fantasizes about owning a pool table. However, the size of a regular pool table isn’t really friendly to small homes. So the answer is to get a small pool table that’s a miniature version of the normal pool table. 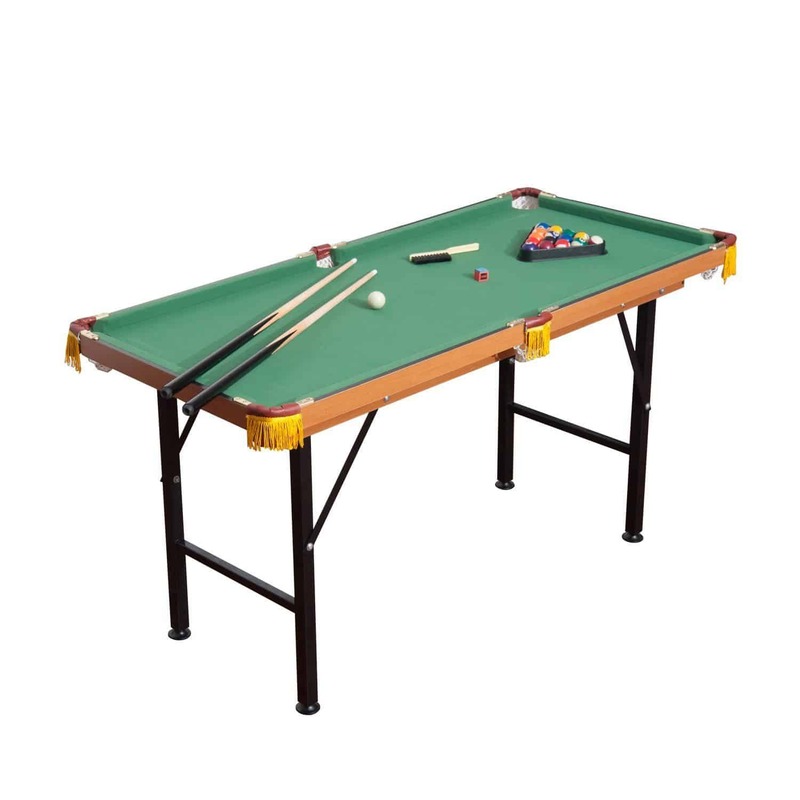 What makes the HomCom Folding Miniature Billiards Pool Table the best small pool table? Seen in the photo is a HomCom Miniature Space Saver Pool Table. HomCom Folding Miniature Billiards Pool Table is thoughtfully designed to match the quality of regular sized pool tables. HomCom had given the manufacturing of this table some careful planning to ensure that it comes out of comparable quality to regular sized professional pool tables. One definite selling point of this table is that, it doesn’t short change playing surface wise. The polyester fleece top is something you don’t normally see in small size pool tables. Bumper cushion is one other thing you won’t expect to find in a pool table of this price. So to sum it all up, the HomCom Folding Miniature Pool Table is a piece that will give you the be﻿﻿﻿st value for your money. Also, the best playing experience. The HomCom Folding Miniature Pool Table has 41% 5-star rating, 18% 4-star rating and 41% of the rest of the rating values. The numbers don’t seem too good but the average overall rating for the table still stands at 3.3 out of 5 stars.